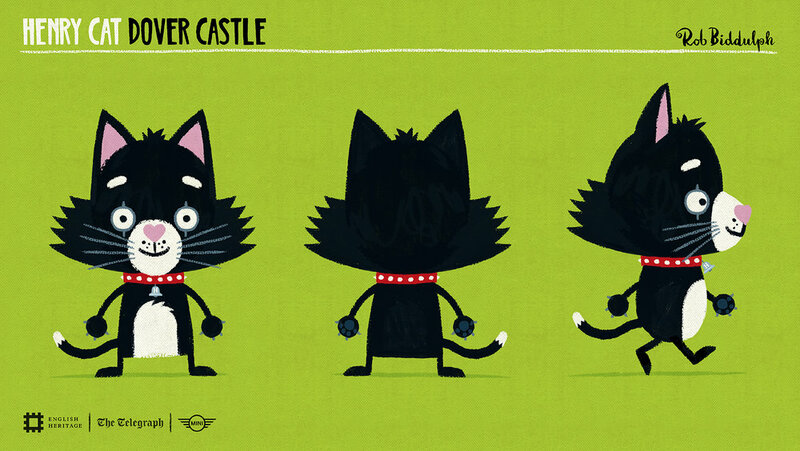 I worked with the Daily Telegraph, Mini, English Heritage, four children’s writers and animation studio WeCanMake to produce character designs and an illustrative style for four short films to be shown at four English Heritage venues across the UK. 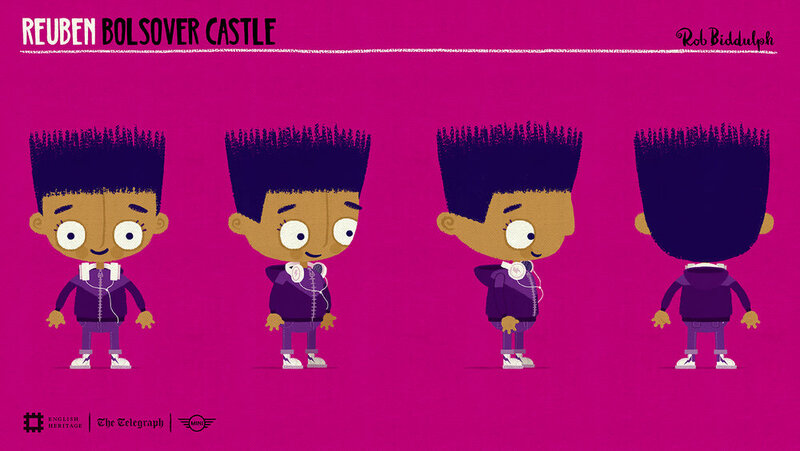 The animations aimed to encourage children to visit historical sites. 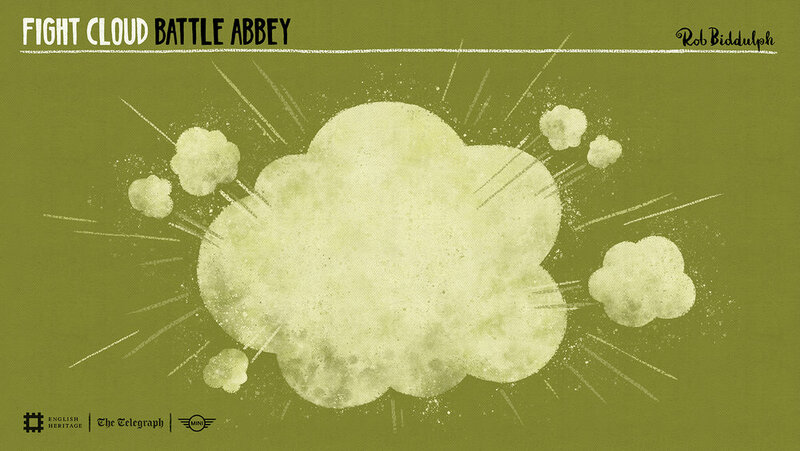 Two busy bees learn a lot about history, and a little bit about themselves, in this charming children’s story (and animated video narrated by Cerrie Burnell) set at Battle Abbey. Click on an image for a closer look. A boy meets a talking horse in this delightful children’s story (and animated video narrated by Cerrie Burnell) set at Bolsover Castle, where they trot through 600 years of history together. Click on an image for a closer look. 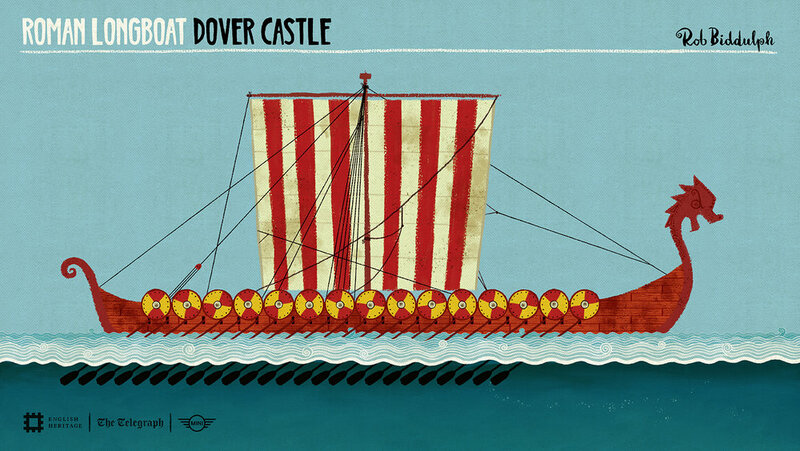 History is very much a cat and mouse game in this fun, funny children’s story (and animated video narrated by Cerrie Burnell) which takes place through the millennia at military stronghold Dover Castle. Click on an image for a closer look. 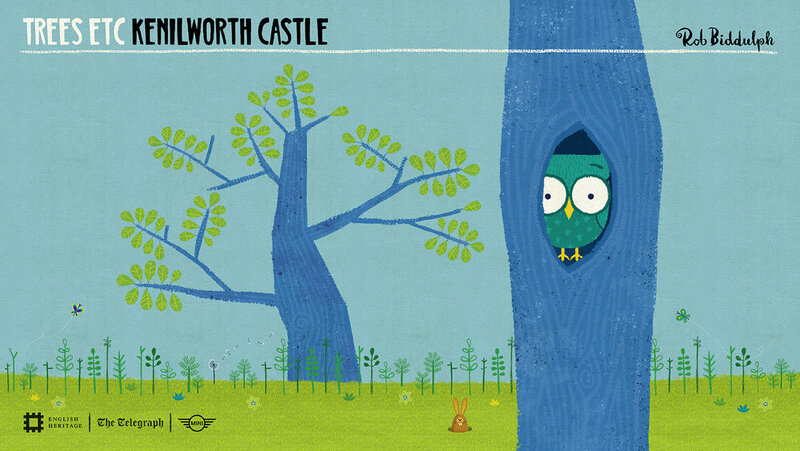 A very special dove meets a very clever owl in this whimsical children’s story that shares the history of Kenilworth Castle – from dramatic sieges to courtly love. Click on an image for a closer look.